The Barb Wire In the Night Farm…Your Ride is Here. 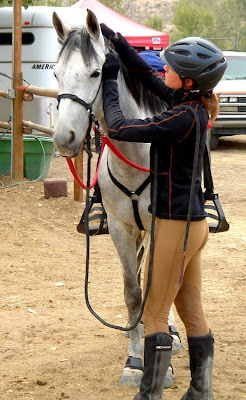 Many trainers emphasize the importance of extensive repetition to equine learning. In his books, John Lyons recommends counting 50 or more repetitions of a single exercise, such as the “go forward” cue, on the theory that a horse won’t fully understand what he’s doing right without that much practice. I respect many things about John Lyons (not least, his marketing ability) but endless repetition is a point on which we disagree. If I tapped Consolation‘s hip an d asked her to go forward, then stop, then go forward, then stop 50 times, she’d kick me from here to Rhode Island… and I’d deserve it. 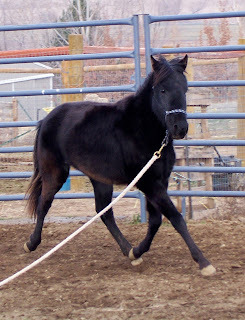 Note: That’s our Barb filly Ripple Effect in the photos, during her first lunging lesson in November 2007. Perhaps breed is a key factor in the debate. 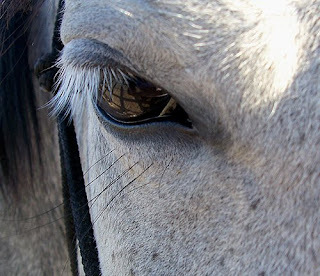 Lyons’ longtime star performer was an Appaloosa called Zip. Lyons is almost always pictured aboard Quarter Horses or breeds of similar type, as are other riders featured in his books and DVDs. 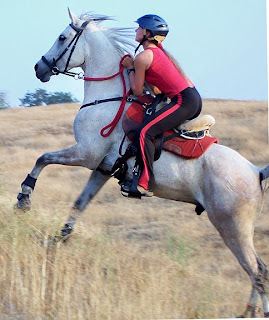 Quarter Horse types, on the whole, come standard with a different kind of mind than Barbs, Arabians, and other hot bloods. Quick history lesson: Most of the horses brought to the New World beginning with Columbus’ second voyage in the late 1400’s were small, hardy, hot blooded Spanish stock. 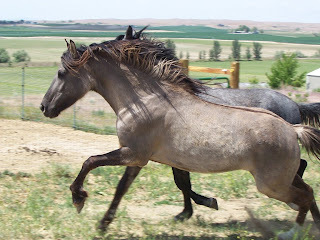 For years, many colonists and American Indian tribes bred superior horses of a type commonly referred to today as “Spanish Colonial.” It was astride some of our Barbs’ ancestors that Chief Joseph’s Nez Perce tribe outran the U.S. Army for nearly 2,000 miles in 1877. Sadly, the Army failed to recognize the quality of these flashy-coated but small horses. 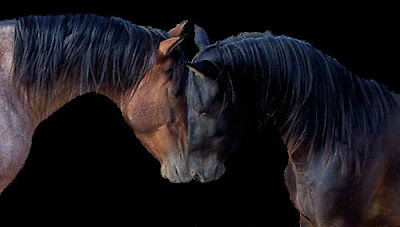 Upon Chief Joseph’s surrender, most of the Nez Perce’s stallions, like those of many other tribes, were gelded or shot. Draft and thoroughbred stallions were turned out in their place in hopes of improving upon the tough, little mares. 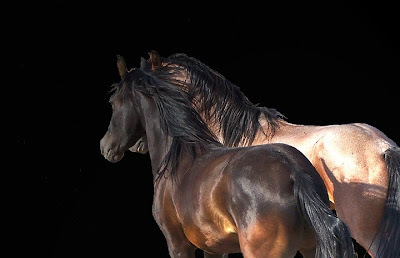 Indeed, today’s Quarter Horses and their colored cousins, the Appaloosas and Paints, are heavily influenced by the extensive cross-breedings that nearly wiped out the Spanish Colonial type in North America. These breeds include a number of fine individuals, but on the whole they reflect the cold blood of their draft ancestors not only in their bulky, fast-twitch muscle fibres, but also in their relatively lethargic mentality. 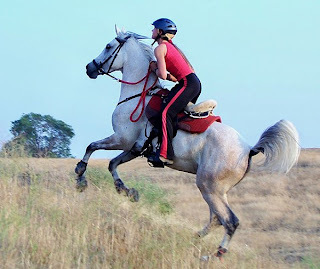 Many equestrians, like Lyons, prefer Quarter Horse types for their muscular physique and quiet demeanor. 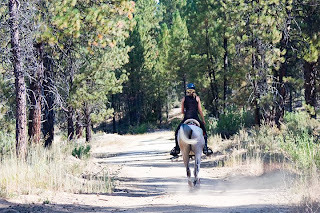 There’s something to be said for a horse that will tolerate a great deal of abuse, whether intentionally in the form of “cowboying” or unwittingly by careless or novice riders. With this advantage, however, comes thicker skin — figuratively and sometimes literally — that requires more repetition before a lesson breaks through. Blessed was the day I learned to stop just after the epiphany, when both horse and trainer are triumphant. We did it, partner! We’re brilliant together! Let’s do it again tomorrow! 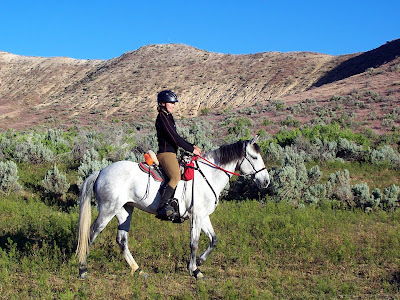 A fellow blogger at Global Horse Culture recently expressed the hope that I would share more about how we chose our Barbs. This, I suspect, is a two part request: First and most important is the question of why we prefer the International Barb Horse Registry (IBHR) horses as preserved by Robert Painter of Quien Sabe Ranch. Second, what drove our selection of the seven individuals that comprise our little breeding program here at In the Night Farm? Because it is Friday and I remain in a funk about my sprained ankle, I’ll address the simpler question first — why did we choose these particular Barbs? 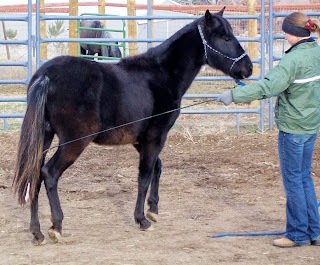 Selecting horses from the Quien Sabe herd isn’t as easy as looking down a list of available horses, marking the most interesting on the basis of bloodlines or price or what have you, then taking those animals for a test drive. 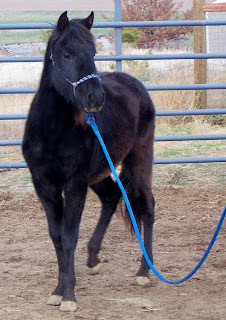 You see, very few horses on the ranch are gentled at all, let alone halter broke or started under saddle. 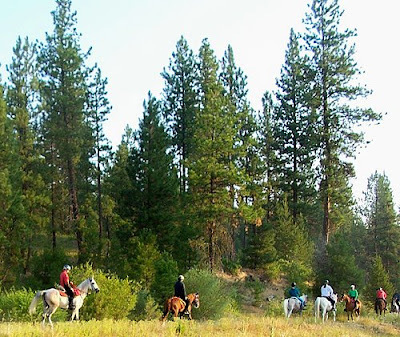 The herd, seperated in various ways by age and/or gender, runs essentially wild on over 400 acres near Midvale, Idaho. Extensive wandering on diverse footing wears their hooves beautifully, strengthens muscle and bone, and sharpens their wits. 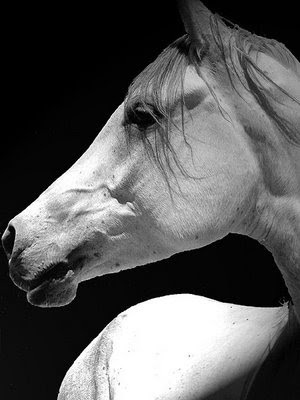 Visitors may walk among the horses, but few members of the herd allow themselves to be touched. Those that do — often, the boldest two-year-olds — extend elegent necks to flutter nostrils against outstretched fingertips before retreating, all snort and prance, among their fellows. Travis and I had the advantage of spending a great deal of time at the ranch, observing the herd that numbered around 200 head, absorbing tales of their ancestors, and watching the young horses mature. When we moved back to the Treasure Valley, we brought with us five Barbs. Insider, our 2000 Barb stallion by Idaho Night Hawk out of Chispa, was the first to be chosen. If you ever meet him in person, you’ll understand my immediate attraction to this horse. He is lovely in every way — at 13.3 hands, he’s well-muscled and strong -boned, kind-eyed, and possessed of an enviable double mane. Dr. Phillip Sponen- berg, respected livestock genetics expert and author of Equine Color Genetics, met Insider and both his parents in 2006. At that time, he informed me that Insider is most likely a “purple roan,” which is to say, a mahogany bay roan. In winter, Insider’s coat turns a rather muddy shade of violet-brown, but in summer he is all shine and glory, speckled with dark corns (irregular spots that increase in number with age), and glinting with a coppery sheen typically associated with Akhal Tekes’ metallic coats. But it was Insider’s personality that attracted me most of all…perhaps because he and I are so much alike: restless, inquisitive, stubborn, determined, and formidable when crossed. And, we both appreciate a good meal. Tuetano is our other stallion, born in 2002 by Fuego out of Quieta. 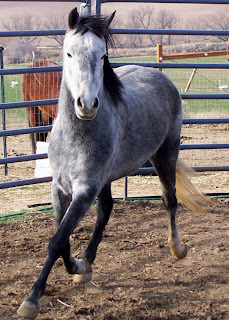 A bay roan like most of Fuego’s get, Tano stands about 14.2 and has unusually expressive eyes. At Quien Sabe, he stood out among his fellow three-year-olds as a tough and stylish colt. 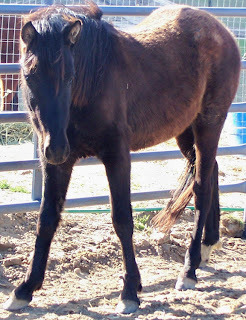 Upon arrival at In the Night Farm in 2006, Tano was still on the gangly side, but he has grown into a beautifully conformed representative of the Barbs. We selected him from a short list of available Quien Sabe colts, not only on his own potential, but also on the basis of his sire’s exceptional quality and obvious prepotency (for more than just color). In personality, Tano is both sweeter and shier than Insider, suspicious of new activity but endlessly curious and eager to please. 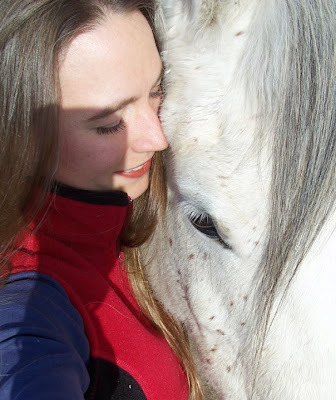 Consolation, our 2002 mare by IBHR foundation stallion Arivaca out of Dove, has already been introduced in this post. She came to us as part of a barter, and I confess she would not have been my first choice from the Quien Sabe fillies her age. I’m pleased to report, however, that despite my intial misgivings, Consolation has blossomed into what is arguably our finest mare and a stellar example of the breed. Her training continues to progress and I’m looking forward to her first Limited Distance race in 2008. 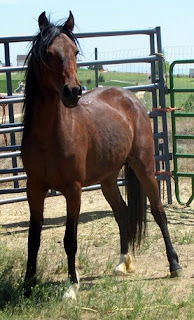 Alternating Current, better known as Acey, is a 2003, bay rabicano mare by Marawooti out of Chiripa. I haven’t measured her recently, but I’d venture a guess that as our smallest Barb, she’s topped out at 13 hands. 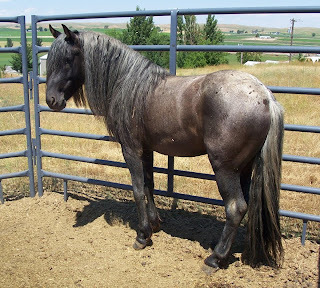 Fine-featured and adorable under a great puff of forelock (see the photo at the bottom of this post), Acey stood out among the other Quien Sabe fillies for her alertness, petite but sturdy and balanced conformation, and an alluring, undefinable charm. Friendly and sensible, she’s a pleasure to train and should be well started under saddle by Fall 2008. Sandstorm, the lovely grulla featured in our blog header, is a 2003 mare by IBHR foundation stallion Lancelot out of Sands of Time. Very like her sire, Sandstorm is quite cautious, though not exactly “spooky,” and eager to comply once assured that she won’t be harmed. I’m still in the early phases of gentling Sandstorm, but I suspect that once I have her trust, she’ll come along very quickly indeed. I look forward to the day I can sit aboard the sailboat-smooth and lightening-fast extended trot that first attracted my attention at the ranch. 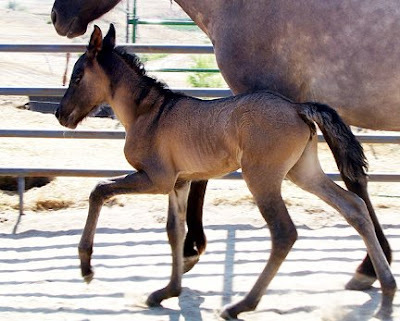 In July 2006, Crackerjack, aka “CJ,” (colt, Jack’s Legacy x Consolation) and Ripple Effect (filly, Jack’s Legacy x Alternating Current) were born just three days apart. Beneath the awkwardness of youth, both show every sign of developing into lovely horses indeed. 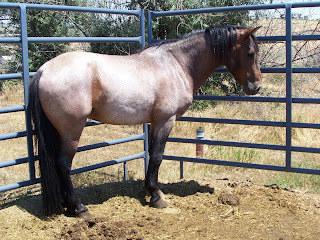 CJ is especially eye-catching, and it may just break my heart to have him gelded this spring. However, I am determined to enjoy our Barbs as well as preserve and promote them, and In the Night Farm is fortunate to have two very nice stallions already. Outstanding in physique and personality, CJ is poised for a career as one of the finest geldings on the endurance trails. Ripple Effect retains the lovely Marawooti head of her grandsire. Indeed, she looks so much like her dam that I often mistake them for one another when feeding before dawn. Inquisitive, bold as brass, generous, sweet-natured, and honest, Ripple ought to make a high quality riding horse, as well as a source of the Jack Slade line in our herd. And there you have it, a summary of our precious herd. In a later post, I’ll address the reasons for In the Night Farm’s commitement to promotion and preservation of the IBHR Barbs. 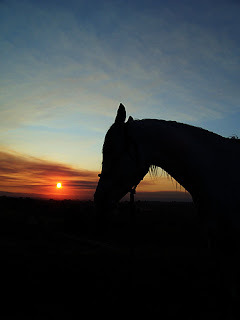 Any person who has tried to trace the history of a breed, equine or otherwise, knows that much is lost to the mists of time. Even among the relatively small number of Barb devotees in North America today, disagreement abounds about the exact history of the breed. 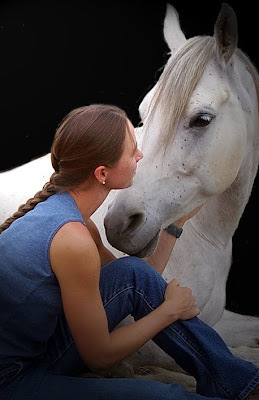 Much of what I have written here is extrapolated from the work of Dr. Deb Bennett, one of the world’s foremost equine experts and a respected researcher and paleontologist. 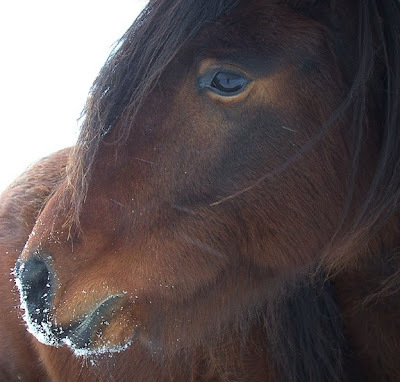 For further detail, see Dr. Bennett’s article on The Origins and Relationships of the Mustang, Barb, and Arabian Horse, available on the Equine Studies Institute website. More than 3,000 years ago, horses of Afro-Turkic extraction were brought by sailing vessel from the Mediterranean to France and the British aisles. 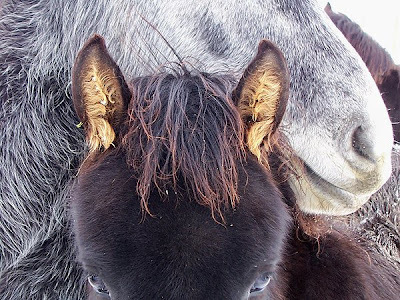 These horses, when bred with the native, draft-type, Iberian horses, produced unusually hardy foals capable of greater endurance than either their sires or their dams. The Iberian crossbreds traveled, in the hands of traders, to what would one day become Spain. King Solomon possessed them, then Hannibal, then the Romans and the Numidian cavalry from North Africa. In the fifth century A.D., northern invaders stole herds of Iberian horses from Gibralter and shipped them to North Africa, where they were backcrossed on the blood of their ancestors. The resulting Barbary Horses, or Barbs, retained some characteristics of their Iberian influence. However, the infusion of Afro-Turkic bloodlines resulted in a lighter body type. 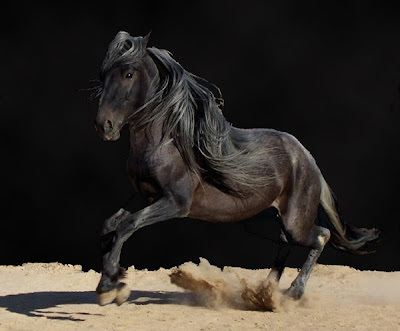 Less refined for beauty than the Arabian, another ancient breed heavily influenced by the Afro-Turkic stock, Barbs were characterized by exceptional endurance and soundness of the legs and hooves. Their profiles were straight or sub-convex, their cannon bones round rather than oblong, their backs short and strong, their croups sloped to low-set tails, ideal for the crouching and spinning maneuvers required by North African warriors. 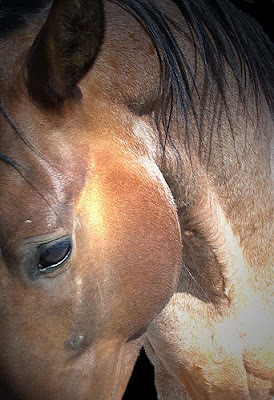 However, Robert Painter of Quien Sabe Ranch notes that his horses are not products of the hodgepodge of draft, thoroughbred, and other miscellaneous bloodlines so common among modern “mustangs,” that is, feral horses of non-specific type. Additionally, he believes his horses represent the original Barb that moved from North Africa to Spain, and from there to the New World with the Conquistadors. While most of the pure Barbs in Africa and Spain have been crossbred into oblivion, Painter has spent more than half a century gathering horses he believes to be of the original type, preserving their purity on his ranch near Midvale, Idaho. It is from this herd that In the Night Farm’s stock comes. 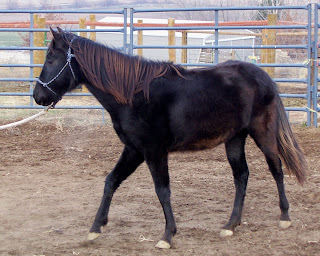 Painter’s understanding of Barb history is briefly presented in the Breed Profile Section of the March 2008 issue of The Northwest Horse Source, together with a photo of In the Night Farm’s 2000 stallion, Insider (Idaho Night Hawk x Chispa, IBHR 191). The same photo accompanies this post. 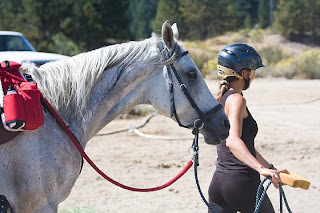 So, what do I believe about our horses? 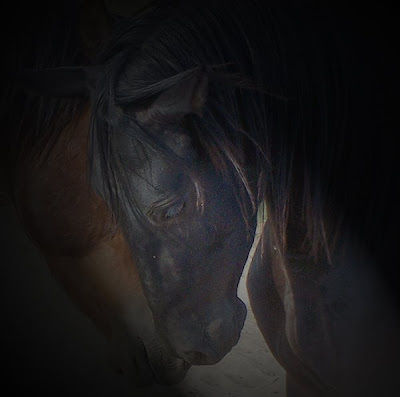 I believe they are representatives of ancient bloodlines, unusually sound of mind and body, rare, and able to improve nearly any other horse with whom they are crossed. The precise details of their origins remain a fascinating mystery. Your comments are always welcome. Email Tamara Baysinger at InTheNightFarms@gmail.com.